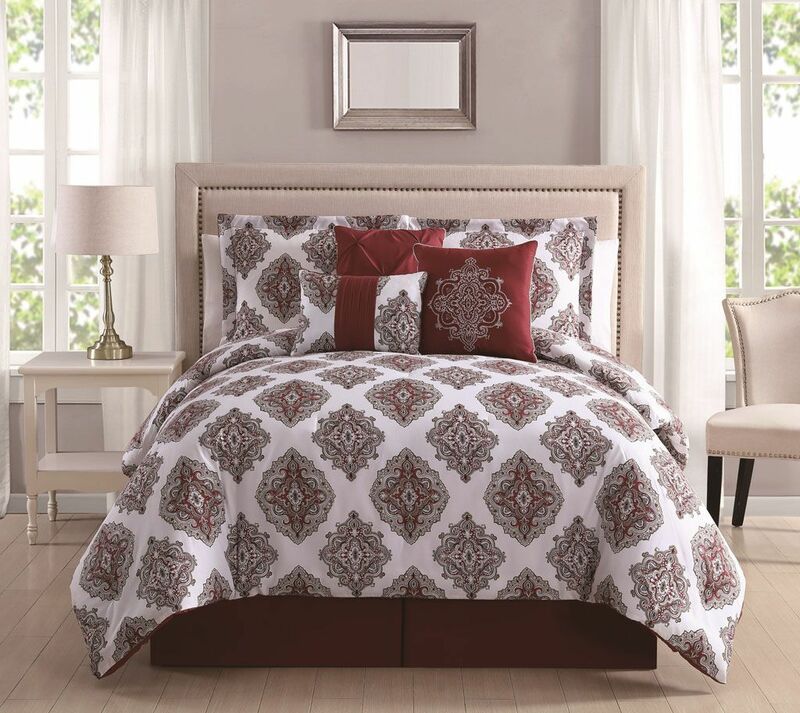 Decorate your bedroom in classic elegance with this Daria comforter set. It features floral medalion pattern in red and taupe on white ground. 3 decorative pillows included.